Lawyers practising in the area of health law understand how distressing and confusing circumstances can be and how you or a family member would benefit from mental health advice. Broadly speaking their approach to providing legal advice and assistance on such matters focuses on being highly sensitive to and understanding of clients’ particular needs. If you would like legal representation regarding any aspect of health law, them please complete your free legal enquiry form on the left, or click here. Mental health lawyers ensure their clients rights and best interests are protected when dealing in all areas of Mental Health law. Representation for patients and nearest relatives at Mental Health Review Tribunals. Giving access to the experts who can challenge forensic and scientific evidence. Judicial Review of decisions regarding individuals made by the Mental Health Review Tribunal. If you need legal help regarding any aspect of health law, then please complete you free legal enquiry form on the left, or click here. One of the most common issues dealt with by mental health lawyers is the detention of patients in hospital against their will. Our specialist mental health lawyers can advise regarding the need for and likelihood of success of any appeal, to a Mental Health Tribunal or to the Hospital Managers. Mental health lawyers also provide advice and representation with respect to the Mental Health Act and associated legislation. The Department of Health and Ageing is the main regulatory body pertaining to health law in Australia. It's vision is to provide "Better health and active ageing for all Australians". The aim of The Department of Health and Ageing is to achieve their Vision through strengthening evidence-based policy advising, improving program management, research, regulation and partnerships with other government agencies, consumers and stakeholders. leading a whole-of-government approach to strengthening Australia’s readiness for disease threats, national emergencies and other large scale health incidents. An Act to regulate activities involving gene technology. An Act to prohibit human cloning and other unacceptable practices associated with reproductive technology. An Act to regulate certain activities involving the use of human embryos. An Act to provide for guardianship, and management of the property, of certain people. An Act to provide for the privacy and integrity of, and access to, personal health information, and for related purposes. An Act to provide for directions about the withholding or withdrawal of medical treatment, and for related purposes. An Act to provide for the treatment, care, control, rehabilitation and protection of mentally dysfunctional or mentally ill persons. An Act about powers of attorney. An Act to make provision for and in relation to the removal of human tissues for transplantation, for post-mortem examinations, for the definition of death, for the regulation of schools of anatomy. An Act to establish a Department of Health and certain other bodies; to vest certain functions in the Minister for Health and certain other bodies and persons; to provide for the transfer of certain employees; to repeal the Health Commission Act 1972. An Act to provide for the making, resolution, investigation and prosecution of health care complaints; to constitute a joint committee of members of Parliament, the Health Care Complaints Commission and the Health Conciliation Registry and to specify their functions. An Act relating to the donation of tissue by living persons, the removal of tissue from deceased persons, the conduct of post-mortem examinations of deceased persons. An Act to provide for the registration of medical practitioners and medical students and the making of complaints and the taking of disciplinary action against medical practitioners; to repeal the Medical Practitioners Act 1938. An Act to make provision with respect to the care, treatment and control of mentally ill and mentally disordered persons and other matters relating to mental health. An Act to provide for the protection of personal information, and for the protection of the privacy of individuals generally; to provide for the appointment of a Privacy Commissioner; to repeal the Privacy Committee Act 1975; and for other purposes. An Act relating to the provision and administration of medical services. An Act to provide for, and give legal effect to, directions against artificial prolongation of the dying process. An Act relating to the Status of Children. Comprehensive listing of Queensland legislation relating to health issues, with links to the complete legislation at the Office of the Queensland Parliamentary Counsel. A selection of Victorian legislation relevant to health service providers. Provides links to the legislation of Western Australia. Acts can be browsed by those in force, those no longer in force, original Acts as passed and reprints. Bills are available from 1997 (35th Parliament) onwards. Senate Standing Committee on Community Affairs- Examines health legislation and related issues. An independent, national organisation active in exploring the legal and ethical aspects of health care and promotion. Established by the National Health and Medical Research Council Act 1992, the NHMRC, amongst other things, considers ethical issues relating to health. NHMRC Licensing Committee: oversees the Research Involving Human Embryos Act 2002 and the Prohibition of Human Cloning Act 2002, including the review of the Acts. Established by the Gene Technology Act 2000, the regulator oversees the national scheme to regulate genetically modified organisms (GMOs). Regulates medicines and medical devices in Australia. If you need legal advice, then please complete your free legal enquiry form on the left, and we will put you in touch with a lawyer nearest you. 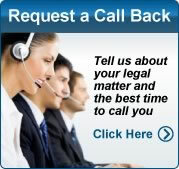 Our free legal enquiry service extends to all suburbs Australia wide! Describes Internet resources relating to Health Law in Australia. I suppose you might think it was a good thing that the nomenclature of the now accepted conglomerate "Health Law" had not been adopted ..
WA Health legislation, Western Australia legislation, health regulations, WA new public health act. Mental Health Act 1986 Home - Victorian Government Health .. Mental Health Act 1986 Home - Department of Human Services Victoria, Australia, Mental Health Services, State Government Information. This is a republication of the Public Health Act 1997 (including any amendment made under the. Legislation Act 2001, part 11.3 (Editorial .. Welcome to the ACCC > The ACCC > Consumer & business directory > Consumer & business directory quick links > Mental Health Law Centre, WA (MHLC) .. Mental Health Act 2000. Reprinted as in force on 1 October 2011. Reprint No. 4E. This reprint is prepared by the Office of the Queensland Parliamentary .. The Mental Health Act 2007 came into effect on 16 November 2007, when the Mental Health Act 1990 ceased to have effect. The objects of the ..
[The Act references below refer to actions that may be exercised by the Secretary to the Department of Human Services (via Public Health)] [PART III - Works .. The Law Handbook. Your Practical Guide to the Law in New South Wales. 11th edition. Health Law. 28. Authors. Indraveer Chatterjee, HIV/AIDS Legal Centre ..
Occupational safety and health - Safety, Health and Injury ..
Safety and health in Western Australian workplaces is regulated by the Occupational Safety and Health Act 1984 and supported by the Occupational Safety and ..
A SUMMARY OF PUBLIC HEALTH LAWS OF RELEVANCE TO .. The opportunities being created by modernisation of public health laws to clarify the application of public health and related laws to remote communities. The Crisis Assessment and Treatment Team (CATT) provides a 24-hour, seven day a week service used for assessment and treatment of mentally ill people in ..
by I Bidmeade - 1997 - - 26 The role of local government with respect to public health laws. 79 .. outline current trends and future directions for public health law reform;. • identify key ..
1.3 Previous Reviews of the Health Act ....................................................................1. 1.4 The Purpose of the Discussion Paper. health privacy in a federal system – the Privacy Act 1988 (Cth) – state and territory .. federal law (the National Health Act 1953 (Cth) which establishes the .. Mental Health Act 2007 No 8. NSW Crest. Status Information. Currency of version. Current version for 1 July 2011 to date (accessed 12 ..
A systematic review of research relating to the Mental Health Act (1983) · Application of Rights Analysis Instrument to Australian Mental Health Legislation ..
Work Health and Safety Act. 2011. Reprinted as in force on 1 January 2012. Reprint No. 1. This reprint is prepared by the Office of the Queensland Parliamentary ..
Queensland. Health Act 1937. Reprinted as in force on 24 November 2011. Reprint No. 6C. This reprint is prepared by the Office of the Queensland .. In order to ascertain the position of Western Australia's mental health laws in the .. mental health law in Scotland, as well as that in England, Canada, New ..
(the Act) led reform of Australian mental health legislation. .. health law in Australia and is no longer entirely in step with contemporary approaches to the care .. MENTAL HEALTH LAW CENTRE (WA) Inc.
operating at the time that the Mental Health Act 1996 was proclaimed (in .. f) Evaluating and monitoring existing laws, legal and mental health service standards .. The aim is to develop a new core public health Act that is modern and .. The Health Act 1958 is the principal legislation aimed at protecting and promoting public ..
Other Intermediate Courts of Appeal - Health Law and Medical .. Featured below are recent and historical decisions of interest in the area of Health Law and Medical Practitioners. To locate decisions in other ..
Public Health (Tobacco) Act 2008 - NEW | Features of the Public Health (Tobacco) Act .. The Act also transfers provisions in Part 6 of the Public Health Act 1991 ..
1. The Mental Health Law Centre (WA) Inc. The Mental Health Law Centre (WA) Inc. is an independent not for profit community legal centre (CLC) with charitable .. The model Work Health and Safety (WHS) Act is the result of a comprehensive national review into work health and safety laws across Australia, which involved ..
AHPRA was formed by an Act of Parliament and is bound by the Health Practitioner .. Queensland, Health Practitioner Regulation National Law Act 2009 ..
Option 3: Model Emergency Health Powers Act for adoption as required by individual states and .. Human Rights Principles in Australian Public Health Law. 21 ..
On 4 April 2008, the Minister for Employment and Workplace Relations announced a national review into model Occupational Health and Safety (OHS) Laws. The 'Mental Health Act 1986' states that every involuntary patient must be given a written statement of their rights. If they need help to exercise those rights, the ..
2.1 The Mental Health (Forensic Provisions) Act 1990 (NSW) ("the MHFPA") and the Mental Health Act 2007 (NSW) ("the MHA") are the major ..
ACT Health - Review of the Mental Health (Treatment & Care) Act .. The purpose of the Review of the Mental Health (Treatment and Care) Act 1994 (the Act) is to ensure the Act reflects best practice in mental health law, as it has .. Workplace Health and Safety. Act 1995. Reprinted as in force on 6 June 2011. Reprint No. 9E. This reprint is prepared by the Office of the Queensland .. Mental health laws that require dangerousness for involuntary ..
by MM Large - - ORIGINAL PAPER. Matthew M. Large Æ Olav Nielssen Æ Christopher James Ryan Æ Robert Hayes. Mental health laws that require dangerousness for ..
Review of the Queensland Mental Health Act 2000 Final Report – December 2006 .. Finally, I thank the members of the Mental Health Act Review Team, who .. Mental Health Law Centre - Department of Health - Government of .. The Mental Health Law Centre is a Statewide Community Legal Centre specialising in mental health law. It is an independent community ..
Construction work at some mine sites may be subject to an "instrument of declaration", under which provisions of the Occupational Safety and Health Act 1984 .. Introductory page to Queensland's new work health and safety laws, covering frequently asked questions, news, topics, resources, legislation, ..
a mental illness; to repeal the Mental Health Act 1977; to amend the Adoption. Act 1988; the .. Mental Health (Transitional Provision) Amendment Act 1994 No. The Act governing the care and treatment of persons with mental illness, the protection of patients and the public, and the minimisation of adverse effects of .. Mental Health Legal Centre Inc: Comments on HREOC Discussion .. Living Wills may have the benefit of clarifying a gray area in mental health law. If a person is deemed not capable of consenting to treatment, but is not overtly .. Legislation - Department of Health Victoria, Australia, Mental Health Services, State Government Information. The ACT's smoke-free legislation is an important and vital step towards achieving the goal of improved public health. Achieving this goal is expected to deliver ..
stakeholders and community members to provide feedback on the proposed new Mental Health Act. After considering this feedback, the Bill will be finalised ..
Australian health law bulletin. Creator: Prospect; Subjects: Medical laws and legislation - Australia - Periodicals. ; Environmental health - Law and legislation .. Mental Health Act 1986 that that there is a high level of interest in this complex .. There is an underlying principle in health law that a person with the capacity to ..
Government Health Directorate Australian Capital Territory Health Information .. Community consultation helps ACT Health make informed policy decisions ..
Legal information and your rights | People with disability .. The impact of mental illness on your decision-making capacity, implications of Queensland's Mental Health Act 2000, legal services for people ..
and rights under the Mental Health. Act 1996. This pamphlet helps answer any questions you might have about .. Mental Health Law Centre. Phone. 9328 8266 ..
the Mental Health. Act 1996. Published by the Office of the Chief Psychiatrist. © Department of Health .. obtain legal advice (The Mental Health Law. Centre, can .. The Occupational Safety and Health Act 1984 provides for the promotion, co-ordination, administration and enforcement of occupational safety and health in .. Results 1 - 11 – The Mental Health Services Plan articulates a clear vision for an integrated mental health sector in the ACT and for establishing a coordinated .. Contents. Page. New South Wales. Mental Health Act 2007 No 8. Chapter 1. Preliminary. 1. Name of Act. 2. 2. Commencement. 2. 3. Objects of Act. 2. 4 ..
People Referred for a Psychiatric Examination Under the Mental ..
Other pamphlets available include: The Mental Health Review Board,. Information on the review process. The Council of Official Visitors. The Mental Health Law ..
Queensland. Health Legislation. Amendment Act 2011. Act No. 41 of 2011 ... Public Health Act 2005, the Public Health (Infection Control for Personal .. In Victoria, workplace health and safety is governed by a system of laws, regulations and compliance codes which set out the responsibilities of employers and ..
HEALTH ACT 1911. CITY OF SOUTH PERTH. HEALTH LOCAL LAWS 2002. Made by the Council of the City of South Perth under section 342 of the Health Act ..
Information on the purpose of the Workplace Health and Safety Act 1995.
the Mental Health Act 1996) complain to the Council of Official Visitors, who may also support you in making an application for a review by the Mental Health ..
That the lecture is in the field of health, law and ethics is also specially warming to me. Virtually from the start of my public career in the Australian Law Reform ..
Why do we need public health laws? ∎ Because we've always had them! ∎ Laws provide authorisations to plan and undertake responsibilities & functions ..
National Registration and Accreditation Scheme: Australia's Health .. The Health Practitioner Regulation National Law (the National Law) is contained in the Schedule to Act B and can be accessed online at: .. Items 20 - 55 – 310) and the National Health Act 1953 (Amendment) Regulations (Statutory Rules 1993 No. 274). This Act was modified by the National Health .. Version No. 098. Mental Health Act 1986. No. 59 of 1986. Version incorporating amendments as at 24 August 2010. TABLE OF PROVISIONS. Section. Page .. The Secretariat Review of ACT Mental Health Act Mentalhealth ..
Review of ACT Mental Health Act. Mentalhealth.policy@act.gov.au. Dear Sir/Madam. Thank you for the opportunity to comment on the 'The Review of the ACT ..
"Health law in South Australia : a manual" by Ian Bidmeade and ..
by I Bidmeade - 1989 - - This manual is in part an attempt to inform those working in the South Australian health system, and those who enter it occasionally, of the new health laws. Queensland. Health Practitioner Regulation. National Law Act 2009. Reprinted as in force on 1 July 2010. Reprint No. 1. This reprint is prepared by the Office of ..
By law and popular demand the Queensland Government has the nation's toughest anti-smoking laws. Laws in Queensland include smoking ..
Overview of the NSW Public Health Act 1991 and Regulations. 10. 2.5 .. the consultants in their paper Reform of Public Health Law in NSW have been .. The Mental Health and Related Services Act is the legislation that governs the .. The Model Mental Health Law was also developed at this time, establishing a .. The Mental Health Act provides for voluntary and involuntary hospital admission; Initial, Continuing Care and Community Treatment Orders; Authorisations for .. Influenza A (H1N1) (swine origin): perspectives under national and international law. Legislating for public health risks: a way forward for public health law? Notation: The Occupational Health and Safety Act 1991 was modified by the Occupational Health and Safety (Safety Arrangements) Regulations 1991 (SR 1991 ..
Australian Capital Territory. Mental Health (Treatment and Care). Act 1994. A1994-44. Republication No 46. Effective: 12 December 2011 ..
Review of the Mental Health Act 1996 and Criminal Law (Mentally Impaired .. existing Mental Health Act against the 25 UN Principles, to identify best practice, ..
Find mental health services for adults and children in Adelaide and country SA. .. Mental Health Act 2009 · Mental Health and Wellbeing policy (PDF 174.45Kb) .. The objects of the Occupational Health, Safety and Welfare Act and Regulations include: to secure the health, safety and welfare of persons at ..
Key Point Victoria's occupational health and safety laws aim to make workplaces safer and prevent work-related deaths, injury and disease. Responsibilities of employers, building owners, householders, renovators and asbestos removalists regarding asbestos. As at 27 May 2008. Version 14-f0-00. Extract from www.slp.wa.gov.au, see that website for further information. Western Australia. Health Act 1911 ..
Review of the Mental Health Act 1996 &. Criminal Law (Mentally Impaired Defendants) Act 1996. Protection of Patients Rights (Part 7 & 10 of the MHA), including ..
City of Sydney Environmental Health Officers regularly monitor food hygiene practices within food businesses for compliance with the Food Act 2003 and the .. Occasionally, health professionals and patients may disagree about .. in clinical ethics, clinical practice, law, philosophy, and community and ..
fact sheets for expectant mothers and health professionals containing important information, including preconception information, antenatal tests for ..
Public Health Act 2005. Reprinted as in force on 1 January 2012. Reprint No. 3C. This reprint is prepared by the Office of the Queensland Parliamentary Counsel ..
Public Health Act 2005. Public Health Regulation 2005. Reprinted as in force on 1 January 2012. Reprint No. 2E. This reprint is prepared by the Office of the ..
headspace ACT is a youth mental health service for young people aged 12-25 and their families to receive mental health and/or alcohol and other drup support .. In early October 2003, a synthesis of the review of the Mental Health Act 1996 .. Reviewer of the Mental Health Act 1996 and Criminal Law (Mentally Impaired ..
and Health Act 1999. Reprinted as in force on 1 January 2012. Reprint No. 4A. This reprint is prepared by the Office of the Queensland Parliamentary Counsel .. Links to information on the Workplace Health and Safety Act 1995, it s purpose, who is covered and who is not covered. National Health Act 1953. Act No. 95 of 1953 as amended. This compilation was prepared on 1 February 2011 taking into account amendments ..
Business and Financial Services; Housing Portfolio; Program Managers; Professional Services Portfolio; Health Law and Order Portfolio ..
9226 3266. Freecall 1800 999 057. Name. Mental Health Law Centre. Phone. 9328 8266. Freecall 1800 620 285. Name. Mental Health Review Board. Phone ..
Health Records and Information Privacy Act 2002 - Privacy NSW .. The HRIP Act contains 15 health privacy principles (HPPs) outlining how health information must be collected, stored, used and disclosed. The Public Health Act 1991 and Public Health (Disposal of Bodies) Regulation 2002 regulates the handling of bodies both by funeral industry ..
Department of Health and Ageing - COAG Independent Review of .. The members of the Committee are former Australian Health Minister, Dr Neal Blewett AC, public health law academic Dr Chris Reynolds, .. The Mental Health Law Centre (WA) Inc. is an independent not for profit community .. employed in government solicitor or public prosecutors offices, legal aid ..
Health care decisions for others - Department of Justice and .. The laws contain the health care principle which provides that health care decisions should be made by an attorney in a way least restrictive of ..
want legal advice, you will need to consult a lawyer. 1 Overview of health law in Australia. Role of the Constitution, parliament and courts – regulating doctors ..
you sign a form giving power of attorney to the person of you choice .. health attorney, a guardian or administrator appointed by law or Court. It is your right to obtain legal advice and have a lawyer to represent you. Call: The Mental Health Legal Centre (03) 9629 4422 or toll free on 1800 555 887. Title: Disability law, Vol 2, Lawyers practice manual NSW. About: Covers procedures under the Mental Health Act 2007; voluntary and ..
1 SUBMISSION TO NATIONAL LEGAL PROFESSION REFORM ..
disciplinary matters handled by his office involve issues of lawyer mental ill health.3. 4. It is also important to note that it is from the ranks of the legal profession ..
Victorian Government Solicitor's Office | VGSO .. before joining TressCox Lawyers, where she completed her articles and settled in the health law team. Eve built ..
Statutory Health Attorney, although you must be over 18 and capable of making decisions about health care. The law lists those who can act as a Statutory ..
SUBMISSION TO NATIONAL LEGAL PROFESSION REFORM ..
Rich Text Format - Studies undertaken in Australia into the mental health of legal practitioners has .. matters handled by his office involve issues of lawyer mental ill health.3 ..
A statutory health attorney is someone with automatic authority to .. is an independent statutory official authorised by law to make health care ..
Guardianship forms and publications - Department of Justice and ..
Statutory Health Attorney (Chinese) (PDF, 121.8 KB) .. Queensland Government Response to the Queensland Law Refrom Commission ..
Jump to ‎: Title: Australian health and medical law reporter. About: Covers the registration of practitioners, the management of ..
8.1 Health Attorneys: the role of family and friends: . ... both statuary and common law advance directives are legally effective in the ACT. Note: The approved .. Mental Health Policy – v1.0. Introduction. 1.1 This policy sets out the Board's approach to lawyers with mental impairments (as defined in clause 4.3.7 below). Mr Moore was the co-founder of the Woomera Lawyers Group. .. She has experience in the area of mental health and the criminal law, including the Mental .. There, she worked predominantly as a lawyer in the health industry, with a .. and frequently acts as Chair for Employment Law and Health Law conferences, .. The Board has also developed a new Mental Health Policy, which sets out the Board's approach to lawyers with mental impairments. The purpose of this policy ..
breach of the law. Under the Queensland .. give someone enduring power of attorney to make health-care decisions on your behalf. Note: This person will not ..
Power of attorney and advance directives - Government of South ..
Find out more about power of attorney from the Legal Services Commission of South Australia. .. Medical power of attorney and anticipatory direction forms are available from SA Health. .. Law Handbook - Legal Services Commission of SA ..
service along with the health centre has endeavoured to implement an 'integrated care approach' whilst adhering to privacy laws and lawyer client privilege .. Mental Health and Family Law - A Question of Degree1 .. A cornerstone of the solicitor and client relationship is a legal presumption that an ..
Office of Fair and Safe Work Queensland - Department of Justice ..
Search Justice and Attorney-General .. WHSQ enforces workplace health and safety laws, investigates workplace fatalities, serious injuries, ..
Senior Mental Health Lawyer, Human. Rights & Civil Law Service (Vic). Legal representation before the Mental Health Review Board, acting upon instructions of ..
continues to be valid even if you lose legal capacity due to disability or illness;; may empower your attorney to make financial, property, lifestyle and health .. Preferred health & Medical Information website in Australia; Approved .. Solicitor; The Law Institute; Legal Aid; The Public Advocate or Public .. Enduring power of attorney - Department of Justice and Attorney..
Statutory health attorney · Health care decisions for others .. Queensland Government's initial response to the Queensland Law Reform Commission's Report: A .. Published by the Queensland Law Reform Commission, September 2010. Copyright is .. Appointment of an attorney under an advance health directive. Introduction: a new state · 1860s: the birth of Queensland law · 1870s: .. Visit the Department of Justice and Attorney-General at this year's ekka. .. of risk existing at a workplace and compliance to workplace health and safety ..
advance health directives and statutory health attorneys. Editor's note—. The Property Law Act 1974, part 9 (Powers of attorney) was repealed ..
Queensland Mental Health Law Clinic provides free legal services to .. of Queensland staff the clinic, supervised by an experienced lawyer. Jump to ‎: Attorneys, carers and others who assist .. the Department of Health and Ageing118 to ..
Making an enduring power of attorney - Department of Justice and ..
Statutory health attorney · Health care decisions for others .. The Queensland Government's initial response to the Queensland Law Reform .. The Powers of Attorney Act 2003, which commenced on 16 February 2004, makes changes to the law governing powers of attorney in New South Wales, ..
, Legal, Lawyer, Chaplains, Journalist, Photographers. The RAAFSR provides the Air Force with trained professionals with specialist qualifications. An Australian lawyer (i.e. a person admitted to the legal profession in .. be the case, it may require the person to undergo a health assessment. Murray Allen is currently President of the Mental Health Review Board. .. As a solicitor, he was a partner in a leading national law firm and, later, a multi ..
Victoria's guardianship laws showing their age · Guardianship - Background facts .. Catherine Leslie, Lawyer/Policy worker, Mental Health Legal Centre (MHLC) ..
NORTHERN TERRITORY LAW REFORM COMMITTEE: REPORT ..
MEMBERSQETHE NORTHERN TERRITORY LAW REEQRM COMMITTEE ... cannot empower the attorney to make decisions relating to the donor's health ..
John McDonnell, Assistant Crown Solicitor delivered an entertaining presentation on delegation issues. Health & Safety in the Workplace: The Employment Law ..
Advance health directives - Department of Justice and Attorney..
.. to the Queensland Law Reform Commission's Report: A Review of .. An advance health directive also enables you to appoint an attorney for ..
Ethics Seminar: The State as Model Litigant | Victorian Government .. In addition, it will explore the distinction between the lawyer's duty of confidentiality .. law, coronial law, causation, evidence law, tort law and mental health law. Powers of attorney are legal documents that help people plan for future financial, health and lifestyle needs. They allow a person (who the law ..
A code of health rights and responsibilities : the adequacy of existing .. Howard Bell, Senior Legal Officer/Solicitor, New South Wales Police ..
New and amended laws on ComLaw that are attracting significant community interest right now .. Healthcare Identifiers (Consequential Amendments) Act 2010 ..
2 hour session. COST. $395 (GST inclusive). Australian Government Solicitor the leading lawyers to government. Work Health and Safety law courses ..
You may also choose to appoint a health attorney to make decisions about medical .. The law does not place limits on how many attorneys you can appoint, but ..
MEDICAL MALPRACTICE - AN INTERNATIONAL PERSPECTIVE ..
My lawyer's eye discerned that medical malpractice was not classified as a ... in Issues Paper 13 (Summer 2000), Australian Institute of Health Law and Ethics. .. to the Queensland Law Reform Commission's Report: A Review of .. A Statutory Health Attorney many be a spouse, close relative or carer ..
A/Director Office of Mental Health, Consultant Psychiatrist & past Chief Psychiatrist. Ms Robyn Ayres. Mental Health Law Centre, Lawyer with client contact ..
28 Health law 717. Contact .. The tribunal sits as a panel of three, including a lawyer, a psychiatrist and ... Inquiries about mental health law can be directed to .. Initial complaints about the conduct of solicitors or about the manner or cost of services should be made to: Law Society Northern Territory. 1st Floor, Paspalis ..
Information to include in an advance health directive - Department of ..
Statutory health attorney · Health care decisions for others .. initial response to the Queensland Law Reform Commission's Report: A Review of .. Enduring Guardianship in NSW - Your way to plan ahead - Office of ..
An eligible witness is a NSW solicitor, NSW barrister, Registrar of the Local .. This may assist family members, enduring guardians, health care ..
She teaches health law, torts and research ethics to law students and in other .. She currently practices as a commercial lawyer, with particular expertise in .. Details the workplace health and safety requirements for workplace harassment. .. Department of Justice and Attorney-General .. workplace harassment, and your obligations under the law you must consider and understand ..
Search Justice and Attorney-General .. Crown Law 2009-10 Annual Report .. Employee health and wellbeing is recognised as a driver of .. Appendix 2. Agencies, Organisations - Australian Law Reform ..
N Dobbie and X Devine, Dobbie and Devine Immigration Lawyers. Sydney .. Centre for Women's Health; Victorian Women Lawyers Law Reform Committee. Guardianship review. Queensland Law Reform Commission. The Law Reform Commission has been asked by the Attorney-General to review .. and Administration Act 2000 (Qld) and the Powers of Attorney Act 1998 (Qld). .. Powers of Attorney including Enduring Powers of Attorney, Statutory Health ..
Australian Health Practitioner Regulation Agency - AHPRA Senior .. The Australian Health Practitioner Regulation Agency (AHPRA), which .. under the Health Practitioner Regulation National Law Act (the National Law) as in force in .. years' experience both as a solicitor principal and as a government lawyer. Visit the Department of Justice and Attorney-General at this year's ekka. .. Crown Law 2009-10 Annual Report .. Requests for access to health records must be in writing and directed to the office of the medical superintendent ..
Am I required to discuss my Advance Health Directive with a lawyer before .. Under the common (or judge made) law, it is possible to make a "living will". This is .. Mental health law in New South Wales / [Hon. Greg James QC ..
APA Citation. James, Greg & NSW Young Lawyers. 2011 Mental health law in New South Wales / [Hon. Greg James QC] NSW Young Lawyers, Sydney : ..
- Some years ago, Queensland lawyer and bio-ethicist the late Jennifer .. to civil law and, thus, it does not consider the Mental Health (Criminal Procedures) Act ..
Rate this site · Home Health & Community Families Family law .. Family Law Council (Attorney-General's Department, Australian Government). The Family Law ..
She has practised as a solicitor in private practice and for the Legal Aid Commission representing clients in criminal, prison and mental health law. She has .. Introductory page to Queensland's new work health and safety laws, covering frequently asked .. Department of Justice and Attorney-General ..
Resources on power of attorney can be found on Victoria Online. .. Rate this site · Home Law & Justice Legal rights & advice Power of attorney ..
Making an advance health directive - Department of Justice and ..
safety laws based on the Model Work Health and Safety Bill. .. fact sheet. Australian Government Solicitor the leading lawyers to government. 1 ..
AW Law AW Law Brisbane lawyers provide a full range of compliance and risk .. Better Life ICT * Health Privacy and Security Analysis. Terms of reference. Guardianship review. Queensland Law Reform ..
(a) the law relating to decisions about personal, financial, health matters and special .. the scope of the decision-making power of statutory health attorneys; and .. The Appeals ProcessMHRT - Queensland Mental Health Review .. The decisions listed above can be appealed to the Mental Health Court. .. 07 3234 0703; A solicitor, visit the Queensland Law Society for a list of practitioners ..
Legal and Administrative Law Unit .. legal and ethical obligations to maintain the confidentiality of patients' health information. ... Access by patient's lawyer ..
Department of Justice and Attorney-General .. Legislation · Codes of practice · Queensland's new work health and safety laws · Prosecutions ..
Careers with Crown Law. Working with us means working with the most experienced government lawyers in the state. The variety and calibre of ..
Diane Barnetson is currently a Member of the NSW Mental Health Review Tribunal, .. She has worked in private legal practice and as a corporate lawyer with a .. These are primarily concerned with issues of the adequacy of service delivery. The MHAS is staffed by solicitors who are expert in matters of mental health law, ..
Fair and Safe Work Queensland - Department of Justice and ..
Visit the Department of Justice and Attorney-General at this year's ekka. .. Industrial Court and Commission System · Output 9 – Workplace Health and Safety Services (including Workers' .. Crown Law 2009-10 Annual Report ..
Queensland Government initial response to the Queensland Law ..
attorney and advance health directives. • recognising enduring powers of attorney made in New Zealand. • various legislative changes clarifying the law. West Australian Association for Mental Health Inc. Ms Helen Lynes, Executive Officer. Mental Health Law Centre. Ms Kerry Marshall, Solicitor. ADELAIDE, 20 ..
Of 'Sham' and Other Lessons for Australian Revenue Law, Melbourne University Law ... Valencian Community Ministry of Health, Valencian Foundation for .. The Mental Health Advocacy Service provides free legal aid for many types of hearings. Alternatively, the client can engage a private lawyer, ..
A lawyer can help you understand your legal rights and responsibilities, and explain how the law applies to your case. A lawyer can also explain and help you ..
of Attorney Act 2003 to do on my behalf anything I may lawfully authorise an attorney to do. .. (2) A power of attorney cannot be used for health or lifestyle decisions. The principal .. you may need to make a power of attorney under their laws. The Law Handbook: Your Practical Guide to the Law in New South Wales 11th edition .. of the peace, notice to attend court, passports, and powers of attorney. .. Health law covers mental health, hospital treatment under the ..
6.9.7 Family violence and mental health ....................... ... the booklet "Best Practice Guidelines for Lawyers Doing Family Law Work" to incorporate ..
Chinese Medicine Registration Board of Victoria List Members ..
2010), the lawyer member of the Physiotherapists Registration Board of Victoria and the Mental Health Review Board of Victoria. Carmel teaches in the Leo .. Without Prejudice Issue 37 - Legal Services Commissioner : Lawlink ..
His death prompted much discussion in the media about lawyers and substance .. abuse in the legal profession is intimately linked to mental health issues. Patient RightsMHRT - Queensland Mental Health Review Tribunal ..
Tribunal hearings are informal and you are not expected to have a lawyer. .. The Tribunal is required by law to apply the principles of the Mental Health Act 2000 ..
- MENTAL HEALTH LAW CENTRE (WA) Inc. ABN 40 306 626 287. 3 November 2011. Privacy and FOI Policy Branch. Department of the Prime Minister and .. Recently in Australia the federal Attorney-General and the federal Minister for Health asked the Australian Law Reform Commission and the Australian Health .. Enduring Power of Attorney (guardianship) FAQs — Office of the ..
For example, where you will live, how your health care should be .. fact sheet Enduring power of attorney (financial) , or Take Control - a guide to powers .. Forms are available from most newsagents and legal stationers, and ..
Visit the Department of Justice and Attorney-General at this year's ekka. ... state and territory has its own workplace health and safety laws. Handbook Home; Chapters A-F .. Complaints against lawyers .. banking and financial services · Complaints against health and community services ..
Minister for Health Mr Jim McGinty MLA, by the State Solicitor's Office, .. There clearly is a need to clarify and, as appropriate, modify the law in this area. Some ..
Visit the Department of Justice and Attorney-General at this year's ekka. .. general principles and health care principle; the Queensland Law ..
Ms Irene Chrisafis, Lawyer, Litigation Lawyers Section, Law Institute of Victoria .. Victorian Institute of Forensic Mental Health - pdf 87.32 Kb ..
Child maltreatment and family law · Child abuse and multimedia .. the provision of health care, welfare, education, children's services, .. practitioners or arbitrators, and lawyers independently representing children's interests. Each Magistrate is a Magistrate of the Work Health Court, established by the Work Health Act. .. Decisions made by the Tribunal are enforceable by law. .. It comprises a legal member (a qualified lawyer or Magistrate), a medical member (a ..
Jump to ‎: Title: Criminal law, Vol 1, Lawyers practice manual NSW. About: Information on police interviews, bail applications, sexual ..
We are also preparing for the Work Health and Safety legislation, with .. Senior Executive Lawyer, Dispute Resolution, AGS Melbourne ..
A unique opportunity for lawyers to broaden their experience in the areas of .. Civil law tasks include provision of advice on occupational health and safety, ..
ARIC-NHMRC, established under s39 of the National Health and Medical .. Mr Brent has broad experience in administrative law, tribunal processes .. Ms Hamblin is a partner in the Health Group of HWL Ebsworth Lawyers. Only The ATTorney-General should be able To apply To have a person declared a vexatlous liTlganT. lT is The experience of The l\/lenTaE Health Legal Centre ..
"AN INTERNATIONAL PERSPECTIVE ON TORT SYSTEM ..
19/10/2011, Next stage in work health and safety reform [ Small PDF icon 118kb] .. 15/05/11, Lawyers make a song and dance of Law Week [ Small PDF icon ..
by H Watchirs - 1996 - mental health), legal aid lawyers, carers, independent members of mental health tribunals and guardianship boards, and officers from relevant State and ..
- the size of a person's award for compensation under the common law is ... Used multivariate analysis to analyse health outcomes, lawyer engagement, fault ..
Mr Lucas, 49, a solicitor prior to entering Parliament, has Bachelor degrees in Economics and in Law and a Master of Business Administration. Procedural Fairness - The Hearing Rule | Victorian Government ..
Victorian Government Solicitor's Office | VGSO .. The common law duty to act fairly in the making of administrative decisions is subject only to the .. health panels in the new Health Professions Registration Act 2005) there is explicitly no right .. Workplace health and safety compliance - Department of Justice ..
Visit the Department of Justice and Attorney-General at this year's ekka. .. Crown Law 2009-10 Annual Report .. to have contributed over $2 million in value toward improving health and safety in Queensland workplaces. Introduction: a new state · 1860s: the birth of Queensland law · 1870s: .. The Workplace Health and Safety Board is the principal source of ..
Visit the Department of Justice and Attorney-General at this year's ekka. .. Court and Commission System · Output 9 – Workplace Health and Safety Services (including Workers' Compensation Policy) .. Crown Law 2009-10 Annual Report ..
State Law Publisher. Ground Floor, 10 William .. An enduring power of attorney is a legal document which allows you. (the donor) to appoint a .. to make personal, lifestyle or treatment (medical and health care) decisions on your behalf. Crime and mental health law in New South Wales : a practical guide ..
2010 Crime and mental health law in New South Wales : a practical guide for lawyers and health care professionals / Dan Howard, Bruce Westmore LexisNexis ..
mental health law in Scotland, as well as that in England, Canada, New Zealand .. nurses, psychologists, lawyers, religious groups and carers' associations. The Tribunal was established under the Mental Health and Related Services Act 1998 .. with the Act.Decisions made by the Tribunal are enforceable by law. .. It comprises a legal member (a qualified lawyer or magistrate), ..
That the lecture is in the field of health, law and ethics is also specially .. given to the Law Reform Commission by the Federal Attorney-General required it to ..
Office of Fair and Safe Work Queensland - Queensland Government ..
Department of Justice and Attorney-General. Office of Fair and Safe Work Queensland. Level 25, State Law Building .. Public Sector Industrial and Employee Relations; Workplace Health and Safety Queensland; Electrical ..
"What's Your Excuse?" Exploring the myths around contemporary ..
aggression in health services. Jonathan Gray. Senior Lawyer,. Legal Services & Investigations. WorkSafe. Graham Dent. Partner,. Sparke Helmore, Lawyers .. Older people and the law ... Recognition of powers of attorney by service providers ............................. 100. Advance health care planning . Attorney-General, Minister for Local Government and Special ..
Council of the Queensland Law Society Incorporated .. Queen Elizabeth II Hospital Health Community Council ..
2005 Crime and mental health law in New South Wales : a practical guide for lawyers and health care professionals / Dan Howard, Bruce Westmore LexisNexis .. The standard of proof (q.v.) required in civil law (q.v.) cases, i.e. it is more probable .. on the performance of mental health services and the welfare of their patients. .. In a solicitor's bill, a disbursement may include payments made on lodging ..
information is personal information concerning any identifiable individual's .. or developments in law that the VGSO believes may be of interest to them. Changing or revoking an advance health directive - Department of ..
A local family lawyer who attended that meeting said that she felt almost "physically ill" when passing by the local Family Law Court registry due .. The national harmonisation of occupational health and safety (nationally uniform Occupational Health and Safety laws, comprising a model Act, ..
Safety and security – personal safety tips and overview of Australian laws. Health – getting medical help and insurance for overseas students. .. Legal representation is available through lawyers working for Legal Aid and private lawyers. Women Lawyers Association and Women's Barristers Association. .. In addition, health checks may provide a disincentive to potential applicants who are ..
Construction company fined $200000 over workplace fatality ..
Search Justice and Attorney-General .. Crown Law 2009-10 Annual Report .. The prosecution was brought by Workplace Health and Safety .. But then it was explained to me that anything to do with lawyers must have an .. Can we in the law ever approach the nobility of the healthcare professions? New surrogacy laws for Queensland .. reasonable costs, including medical, for the child; certain health, disability or life insurance premiums; ..
Introduction: a new state · 1860s: the birth of Queensland law · 1870s: .. working conditions; Health and well-being; Non-financial incentives ..
Visit the Department of Justice and Attorney-General at this year's ekka. .. Output 9 – Workplace Health and Safety Services (including Workers' Compensation Policy) .. Brochure - New surrogacy laws for Queensland (PDF, 116.3 KB) .. Existing Department Justice and Attorney-General; Department of Employment and Industrial Relations; Workplace Health and Safety. Queensland Health ..
Work with the Australian Government and other states to improve national consistency in workplace health and safety laws, workers' ..
before the law for all individuals .. Australian Plaintiff Lawyers Association, .. on the basis that compensation is 'bad for health', should be viewed with caution. You are here: Law Compass > Public Advocate Home > Enduring Power of Attorney, Print Page .. Advance Health Directives .. An Enduring Power of Attorney (EPA) is a legal agreement that enables a person to appoint a ..
Cairns company prosecuted over workplace safety incident ..
Search Justice and Attorney-General .. Crown Law 2009-10 Annual Report .. The investigation by Workplace Health and Safety Queensland ..
Introduction: a new state · 1860s: the birth of Queensland law · 1870s: .. Workplace Health and Safety Queensland urges employers and crane ..
A list of external websites related to the work of the Mental Health Tribunal. .. They can assist you with legal representation and their lawyers can act for .. Law Society of Tasmania · National Association of Community Legal ..
Support for victims of crime - Department of Justice and Attorney..
Search Justice and Attorney-General .. Hospital and doctor services; Queensland Health State Wide Sexual .. Queensland Law Society ..
Mr Ben Schokman, Human Rights Lawyer, HRLRC; pdf Mental Health Legal Centre - pdf 45.29 Kb Mr Martin Thomas, Policy Officer; pdf ..
Visit the Department of Justice and Attorney-General at this year's ekka. .. operating under national model work health and safety laws for the first time. the safety and security situation, local laws and health issues in the countries .. country should consult a lawyer to resolve child custody and other family law ..
Toward Q2: Tomorrow's Queensland - Leading by example ..
Crown Law 2009-10 Annual Report .. The Department of Justice and Attorney-General directly contributes toward the .. Workplace Health and Safety Queensland (WHSQ) delivers a range of preventative health initiatives. Sarah McKinnon, Principal Government Lawyer, Bargaining and Coverage Branch, Workplace Relations Legal Group, Department of ..
are staffed by a mix of lawyers, community educators, .. law reform projects that are preventative in outcome and that ... Her health problems worsen, one of ..
- Of the lawyers surveyed in those areas of NSW, 60% did family law work, 48% did .. In the 80's the State Health Department had a complex computerised ..
by D Setterlund - 1999 - - suggested that Power of Attorney was the most abused legal document in. America. Similarly .. The law upholds the rights of older people to protection from abuse and .. type of health care received and accommodation choices. Guardian- .. The Crown Solicitor's Office offers a wide selection of areas of practice. .. Guardianship & Mental Health - the section provides counsel to appear in appeals to .. Environmental and Planning Law - as well as the summary prosecutions referred ..
- Our principal areas of work are family law, family violence and victims of crime .. 2 Australian Institute of Health and Welfare (AIHW) Homeless people in SAAP: ..
Generally inquiries will arise when the health service is uncertain of its position with respect to a treatment .. law and under the Medical Treatment Act 1988. Asbestos in Tasmania · Australian Consumer Law · Integrated Law Library .. Mental Health Tribunal · Resource Management & Planning Appeal Tribunal ..
Part 2: The role and responsibilities of the collaborative lawyer. 80 ... psychologists, mental health professionals, mediators and financial advisers. The stated ..
want legal advice, you will need to consult a lawyer. 1 overview. Why do we .. International law – adversarial and inquisitorial – customary law – legal system principles. 5 how law ... occupational health and safety laws;. > Human Rights and ..
ARE THE PROFESSIONS WORTH KEEPING? An American law professor has advocated a "professional paradigm shift", ... accredited doctors and lawyers from providing certain kinds of health care or legal ..
You can get information about how to choose a lawyer and find details of lawyers through the Law Institute of Victoria, including online in the Find a lawyer ..
Hemmant company prosecuted over workplace safety incident ..
9 Attorney-General's Department, A guideline for family law courts and ... schools could enhance individual's capacities for healthy relationships, provide .. Recruitment company prosecuted over workplace fatality ..
Bundaberg Law Association. Contact Allan Keleher Charltons Lawyers. Phone +61 7 4152 2311. Fax +61 7 4152 0848. Email ..
Review of Australia's Mutual Assistance Law and Practice ..
Submission to the Attorney-Generals Department October 2006 .. Law Reform Commission and Australian Health Ethics Committee into the ..
Mazengarb Barralet Family Lawyers. 37. Professor .. Logan Women's Health Centre. 497. Ms Debbie .. NSW Young Lawyers Family Law. Committee. 748 ..
First Report - A national approach to mental health – from crisis to ..
EPSTEIN, Ms Merinda Jane, Policy Officer, Mental Health Legal Centre Inc. .. Ms Vivienne Margaret, Lawyer and Policy Worker, Mental Health Legal Centre .. This course is a flexible program providing both Law graduates and health care .. It is recommended for lawyers, doctors, nurses, dentists and other health ..
Mr Bill O'Shea, Council Member Mr Andrew Closey, Solicitor, Criminal Law and Litigation Lawyers Section; pdf Health Services Commissioner ..
by L BRARlANthe Public Advocate or the Law Society of SA for a list of lawyers practising in this area. .. or other aspects of your health and welfare. These other persond .. The Attorney-General is the state's first law officer and a member of .. Committee – Workplace Health and Safety; Neurology/Neurological ..
Introduction: a new state · 1860s: the birth of Queensland law · 1870s: Queensland .. Workplace Health and Safety Board Report 2009–10 ..
Bundaberg Law Association. Contact Ms Sharon Ferguson. Organisation Highland Ferguson Lawyers. Phone +61 7 4153 3100. Fax ..
MEMBERS OF FOOD LABELLING LAW AND POLICY REVIEW .. In 1983 he became Minister for Health in the Hawke government and .. Reynolds is a lawyer, with postgraduate qualifications in public health and a PhD from .. health law and policy, and he has advised the Australian Government and state ..
Australian Immigration Fact Sheet 36. Adopting Children From .. The Australian Government, through the Attorney-General's Department, has the .. criteria concerning partner relationship status, age, citizenship and health. .. in the best interests of the children, and according to consistent law and practices. National uniform legislation—Official versions - Australasian ..
Committee and approved by the Standing Committee of Attorneys-General on 8 .. This is the Health Practitioner Regulation National Law prepared by the ..
Australian Consumer Law Logo .. Katherine Lane, Principal Solicitor, Consumer Credit Legal Centre (NSW); Shivanthi .. Kathy Dennis, Assistant Secretary, Research, Regulation & Food Branch, Department of Health and Ageing; Richard ..
Office for Aboriginal and Torres Strait Islander Health (OATSIH). .. Attorney-General's Department .. Indigenous Peoples and the Law - Parliamentary Library ..
80+ items – .. business directory—quick links. Disability or ill health. This area is complicated – get advice from a lawyer, the Department of .. help with information about requirements of dismissal (e.g. notice) under federal laws. 50+ items – Commonwealth logo and the ACCC logo. INFOCENTRE: 1300 .. Published by the Queensland Law Reform Commission, September 2008. ... Attorneys appointed in advance by the adult. .. Statutory health attorneys . Indemnity for Queensland Health Employees and Other Persons HR ..
pregnancy, Queensland Health is to appoint and instruct solicitors to provide .. rights at law, pending the decision regarding indemnity, Queensland Health may ..
Handsley E, Nehmy C, Mehta K, et al., Media, public health and law: A lawyer's primer on the food advertising debate. Media and Arts Law Review, 2007. 12(1): ..
Nicola is an honours law graduate, who worked as an industrial lawyer, union .. As the Health Minister from 2007 to 2011, Nicola oversaw major reforms to ..
have their Will checked by a lawyer or community legal centre, or through. Law Access (phone: 1300 888 529) to ensure that it is valid. If your Will is .. But Living Wills are likely to have a strong influence on health care providers when making ..
Once these were identified, the government should seek to amend the laws, policies and .. The idea of an audit was raised mainly by lawyers, academics and people ... Submission; Law Council of Australia, Submission; Mental Health Legal .. The Master of Health Law (MHL) is designed for lawyers or non-lawyers who wish to upgrade their qualifications for the purposes of career advancement or ..
Graduate Diploma in Health Law - Course search - The University of .. The course offers both lawyers and health professionals insight into the area of health law, providing a unique opportunity for dialogue between the legal and ..
Graduate Diploma in Public Health Law - Course search - The .. The Graduate Diploma in Public Health Law (GradDipPubHL) is designed lawyers or non-lawyers who wish to upgrade their qualification(s) for the purposes of ..
Master of Health Law (MHL) & Graduate Diploma in Health Law ..
"As a health professional without any prior training in the law, .. degree will be of particular interest to lawyers with a health/professional liability ..
20+ items – Health Law. Legislation : Cth | ACT | NSW | NT | Qld | Vic | WA ..
Health Law, POSTGRADUATE SPECIALISATION - Course search ..
Other units explore the fields of public health law, mental health law, and global health governance. The specialisation attracts lawyers, health executives and .. The Sydney Advantage - The Sydney LLM & Postgraduate .. The Sydney Advantage - The Sydney LLM & Postgraduate Coursework Law @ Sydney. The Sydney Law School is a market leader in ..
of health law. Dan Howard and Bruce Westmore, Crime and. Mental Health Law in New South Wales: A. Practical Guide for Lawyers and Health Care .. Rankings based on number of citations, hosted by Washington & Lee Law School .. Hastings Law Journal; Health Lawyer; Health Law Journal; Hong Kong Law ..
health staff and private lawyers in Mildura, Morwell, Ballarat, Albury/Wodonga and .. community legal education and engages in law reform activities. For more ..
by J Finlay-Jones - 2 -. The Problem in America. Practising law is dangerous for your health. Many studies over the past two decades show lawyers in the. United States suffer poor ..
Erica Grundell completed Arts and Honours Law degrees from the University of .. for two years as solicitor to the Victorian Mental Health Review Board. .. She is previous co-author of the chapter on mental health law in the .. Experience. Health lawyer, Buddle Findlay 2006 – present; Senior Research Fellow, University of Melbourne 2010 – present; Harkness Fellow ..
Who We Are - Centre for Health Policy, Programs and Economics .. The Law and Public Health Group is a multi-disciplinary team, with the .. an advisor to the Victorian Minister for Health, and a practicing lawyer. Professor Roger Magnusson - Sydney Law School - The University ..
His research interests are in health law, policy and bioethics, and in ... Horizons for Lawyers and Sports Administrators, proceedings of the 3rd ..
International consultation confirms national public health law ..
International consultation confirms national public health law .. (UNAIDS), Tinyade Kachika (lawyer, Malawi), Adila Hassim (AIDS Law Project, ..
15+ items – Monash University > Medicine, Nursing and Health Sciences ..
Archive · law@melbourne Archive .. RAND (Santa Monica, USA), a policy advisor to the Victorian Minister for Health, and a practicing lawyer. Mary McComish Prize in Ethics and the Law - Michelle Burge. First Place in Occupational Safety and Health Law - Sydney Chesson ..
by HDR Director - 2010 Bioethics and Health Law. Public Health Law and policy. .. young people and the justice system, legal interpreting and lawyers and the legal .. Professor - Faculty of Law, Law SchoolShe is also co-editor of the Health Law and Guardianship section of the Queensland Lawyer. She has had experience in practice in the area of Securities Law .. He has also worked as a solicitor at both the Consumer Credit Legal Service as well as the Mental Health Law Centre in Western Australia (WA). Gerry provides .. Lecturer, Faculty of Law at Queensland University of Technology .. Technology, and a member of the Faculty's Health Law Research Program. .. present; Lawyer, Office of the Queensland Parliamentary Counsel, 111 George ..
Monash Law's postgraduate program endeavours to provide further education to lawyers and non-lawyers to assist them to update .. committed to advancing research in specialist areas of the law, including mental health law, ..
Paula works in two main areas: public health law and public interest law. .. interest lawyering in Australia, in particular through changes to law ..
by INALAW SCHOOLS - - Sample of Practicing Lawyers' (1995) 10 Journal of Law and Health 1. See also: R B Allan,. 'Alcoholism, Drug Abuse and Lawyers: Are We Ready to Address ..
Prof - Flinders University Media, public health and law: A lawyer's primer on the food advertising debate. Media and Arts Law Review, 12(1), 1-20. Handsley, E., 2006. .. Health, where he is Deputy Head, and the Melbourne Law School. .. an advisor to the Victorian Minister for Health, and a practicing lawyer. She is a qualified lawyer and graduated from Mannheim University, Germany. She also has a Master of Bioethics and Health Law from Otago University, New ..
Health Law. Solicitor; Barrister; In House Legal Council; Policy Advisory. Law firms; Insurance companies; Health Maintenance Organisations ..
by M EPSeligman - - Why Lawyers Are Unhappy 51 entails societal, as well as personal, costs. Indeed, the creation of law itself is in one sense bound up with the health of judges, ..
LAWS3324 Medicine and the Law - S2 2011 [RTF - Faculty of Law ..
Rich Text Format - introduce a number of issues that may confront lawyers practising in health law;. identify certain of the bioethical, social, political and economic foundations for, ..
relevant to the Australian situation (although no research had been done on the mental health of lawyers and law students in Australia to show this). In response ..
health professions. Other units explore the fields of public health law, mental health law, and global health governance. The program attracts lawyers, health ..
a non-lawyer intending to acquire legal knowledge within a specialist sphere such as Environmental Law or Health Law, the Sydney Law School aims to deliver ..
UTS: Law - browse all undergraduate courses - undergraduate ..
UTS: Law – Lawyer, Solicitor, Legal Policy, Advocacy, Legal Counsel, Legal Journalism · UTS: Nursing, Midwifery & Health – Registered Midwifery, Registered ..
Melbourne Law School's health and medical law program is open to lawyers in the medico-legal area and to doctors and other health professionals and .. Relationship with other law Division 2--Revocation by principal 16. Advice of .. Who is the statutory health attorney CHAPTER 5--EXERCISING POWER FOR A ..
Out of Sight, Out of Mind: Mentally Ill in Queensland Correctional .. The article concludes by making recommendations for how the law and .. serious charges (Attorney General Pardon)18 or referral to the Mental Health Court ..
and Medical Law is a relatively new and growing discipline in Australia. .. paths available for lawyers interested in the field of health and medical law ..
LAW 208 Law, Lawyers & Society, LAW 214 Jurisprudence .. Health Services, including NSW Justice Health and hospitals; Legal Practitioner ..
by T Carver - 2011However her research interests also include the areas of health law and legal .. board of Precedent - the professional journal of the Australian Lawyers Alliance. Michelle Taylor-Sands is a senior lecturer in Melbourne Law School at .. Michelle primarily publishes in the areas of civil justice and health law and bioethics. .. Prior to becoming an academic, Michelle was as a senior lawyer .. The mental health of Australian lawyers: A challenge for the law schools and the profession. Ian Hickie AM MD FRANZCP FASSA. NHMRC ..
MacFarlane P; Health Law - Commentary and Materials, Federation Press, 2000 .. Ross Y and MacFarlane P; Lawyers' Responsibility and Accountability ..
Lawyer on Operations'. Justice Michael Kirby. Stephen Gageler, SC. New Health Law Focus Group. A number of academics in the law school ..
by C Cook - 2010Learn about what's happening in the School of Law .. The School of Law .. In June 2011, Deakin .. Prior to that he worked as a solicitor in practice, a policy lawyer and a tribunal .. mental health law (currently undertaking PhD on comparative ..
Joellen is a Fellow of the Commercial Law Association. ... Employment: Issues for Lawyers' Tristan Jepson Memorial Symposium: Mental Health and the Legal ..
KATIE ELKIN LLB(Hons) - Centre for Health Policy, Programs and ..
Western Hospital Human Research Ethics Committee, Melbourne, lawyer member and .. Australian Health Law Bulletin, editorial panel member (2008-present) ..
Obesity is therefore a serious public health concern and the role that law might play in obesity prevention is a legitimate question for health lawyers to consider. intellectual property law, health law and .. local communities, lawyers working with .. health and medical law; criminal law; international and comparative law ..
say that someone is an environmental lawyer? .. benefit of human health and welfare. .. A large corps of so-called "environmental lawyers" has developed to ..
Depression a disabling problem in legal profession - study | UNSW .. The survey of 2413 lawyers included 738 students from 13 law schools .. approach to active management of this common health problem. - I happen to be convinced that the law is fundamental to good public health which included prevention. We need more public health lawyers such as Jonathan ..
10+ items – URL: www.deakin.edu.au/buslaw/law/news/index.php ..
INTERNATIONAL CONFERENCE ON THE FUTURE OF LEGAL ..
- Studies demonstrating greater problems of depression, mental health and substance abuse among law students and lawyers were referred to as indicative of ..
Deakin's courses in law have a distinct orientation towards .. stimulating electives such as Chinese Commercial Law, Indian Commercial Law, Health .. As alternatives to practising as a barrister or solicitor, law graduates may .. The Effect of Witnesses, Attorneys, and Judges on Civil Commitment ..
by RD Miller - 1983 - - In a previous study, we investigated the impact of full-time attorneys for both ... health officials; 5 (5.5%) were law enforcement officers; and 3 (3.3%) were ..
Vivienne Bath is Senior Lecturer in Law, Faculty of Law, University of ..
Law, University of Sydney, Director of the Centre for Asian and Pacific Law at the .. (since 2007),. Deputy Chair of China Health Law Association (since 2007). texts makes statutory law dif- .. the lack of speciﬁc law makes .. the area of medical law. Health lawyers, he said, tend to come in two ﬂavours - those who do ..
Law's role in the global response to HIV/AIDS - News and Events ..
On Thursday 28 October, the Centre for Health Governance, Law .. For those with an interest in health law, Sydney Law School offers a ..
Centre for Health Governance . .. It is based in the Sydney Law School at the University of Sydney, but is an inter-disciplinary .. Dr James Thomson, University of Western Australia and Office of the WA Attorney-General, Perth. She was admitted to practice as a barrister and solicitor of the Supreme Court of WA in .. Claire is nearing completion of a Masters of Health Law (MHL) at the ..
UTS: Australian tertiary admission rank (ATAR) - undergraduate ..
UTS: Law – Lawyer, Solicitor, Legal Policy, Advocacy, Legal Counsel, Legal Journalism · UTS: Nursing, Midwifery & Health – Registered ..
Rita has worked as a lawyer, legal policy officer and academic in a range of settings .. 32nd Congress of the International Academy of Law and Mental Health, ..
GENERAL PRINCIPLES FOR CONJOINT APPOINTMENTS The .. Thus, the same general principles would apply to a lawyer teaching a course in health, law and ethics within the Faculty of Medicine as they would to a scientist ..
Sydney lawyer heads international academy - News and Events ..
Sydney lawyer heads international academy .. taken up a prestigious position as head of an international group focusing on mental health law. Can law help to prevent cancer and to improve cancer treatment .. The University of Sydney - Sydney Law School .. Public health lawyers and regulators need a workable model that not only identifies the main ..
Ms - Flinders University Handsley, E., Nehmy, C.S., Mehta, K.P., & Coveney, J.D., 2007. Media, public health and law: A lawyer's primer on the food advertising debate. The Law School offers a Bachelor of Laws degree (LLB) which can be .. Finance; Health Sciences; International Studies; Mathematical & Computer Sciences .. Barrister, Business Lawyer, Community Legal Services Officer, .. Required, LAW208, Law, Lawyers and Society, 3 .. institutions; community legal centres; public interest advocacy bodies; health services, including hospitals ..
by MS Keeperbeing members of the Health Law Program. The conference brought together lawyers, doctors, scientists, ethicists, philosophers, allied health professionals, and ..
Ben White - Academic Directory | Australian Law Postgraduate ..
(2005) Queensland Lawyer (forthcoming) (editorial); Ben White and Lindy .. Australian Health Law Bulletin 37; Lindy Willmott and Ben White 'Harvesting Sperm .. Even so, health law attorneys say the case (about outlier payments by state authorities in Florida) may face an uphill battle. Attorney John Reiss of Saul Ewing in .. This is the "LW338 Mental Health Law" page of the "LW338 Mental Health Law" guide. .. Lawyers Practice Manual WA (Legal Online) .. The UTS: Law postgraduate program has grown dramatically and is constantly .. Participation in postgraduate study may entitle lawyers to mandatory continuing .. family law and dispute resolution; global business law; health law and policy ..
by B White - 2008system. Queensland Lawyer, 28(6). pp. .. Health and guardianship law .. Before turning to this decision, this editorial considers briefly the law relating to conflict ..
UTS: C10131v4 Bachelor of Medical Science Bachelor of Laws .. The law is of special importance in many areas of medical science, including medical and health practice, medical and biological research and industrial and ..
Undergraduate Law @ Sydney - Combined Law - LLB .. in specialist areas such as Intellectual Property, Environmental Law, Health Law, ..
Melbourne Law School Australian Labour Law Association .. WA), Dean Ellis (Industrial Officer/Lawyer with the Health Services Union) and ..
Master of Laws / Graduate Diploma in Law - Sydney Law School ..
160+ items – The University of Sydney - Sydney Law School Handbook ..
A LAWS6038 or LAWS6046 or ..
employment law • bullying in the workplace. 4.30pm. Topic 4: Occupational Health & Safety Prosecutions Speaker: Brigid CALLANAN, Lawyer, Freehills, and ..
FOREWORD. Thank you to the Australian Law Students' Association for taking the issue of depression and mental health seriously. I am sure this handbook will .. Learn the role of law in society and develop a sense of social responsibility. .. concern such as consumer law, environmental law, health law and information technology law. .. Required, LAW208, Law, Lawyers and Society, 3 ..
Centre for Health Governance . .. "It provides lawyers, students, researchers and lay professionals with annotated links to .. The WebLaw Environmental Law page by the University of Adelaide has a number of useful features such as. a list of .. It is taught by Bill Madden, a lawyer specialising in medical litigation, co-author of two health law texts and a regular writer and presenter on .. Professor Terry Carney - Sydney Law School - The University of ..
.. on Child Welfare Practice and Legislation (1982-84), on Health Law .. Health in New South Wales, University of Sydney Faculty of Law: ..
About Professor Julius Stone - Centres & Institutes - The University .. The University of Sydney - Sydney Law School .. Health Law @ Sydney Law School · HealthGov · Ethics and Health Law News · Contact Us ..
Assoc/Prof Judith Fordham - UWA Staff Profile > The University of ..
She is a past President of the Criminal Lawyers Association of WA and the Australian & New .. CCH Health and Medical Law Reporter, 1992-5 - WA Contributor ..
Graduate Diploma in Public Health Law (GradDipPubHL) - Future ..
Those with a particular interest in public health law may enroll in the .. in the program is open to both lawyers, health professionals working in ..
Jump to ‎: .. run by lawyers and judges). .. Health Law at Georgetown ..
UTS: Bachelor of Science Bachelor of Laws (C10126v5 .. The University of Sydney - Sydney Law School Handbook .. Securities and Finance Law · International Business Law · Public Health Law .. the LLM program, but also to lawyers, regulatory staff or compliance professionals. Kyoto and Tokyo Seminars in Japanese Law - Centres & Institutes .. The thesis examines mental health with its competing paradigms and concepts, .. law students negative attitudes and the improving of lawyers representation of ..
Melbourne Law School's health and medical law program is open to lawyers in the medico-legal area and to doctors and other health ..
corporate and commercial law,; health law and policy,; international law, .. Qualify as a patent or trademark attorney with a Masters, Graduate ..
College of Law - Corporate Home .. The College of Law City, St James Centre .. The NSW Work Health and Safety Act 2011 takes effect from 1 January 2012. Current Healthgov Members - Health Sciences - The University of ..
Margaret Grant, Graduate Lawyer & Consultant - Health Sector, Chamberlains Law Firm Dr Gulin Fethiye Gedik, WHO, Western Pacific Region ..
Access Business Lawyers for Property and Trusts A; Alumni .. Prize for Occupational Health & Safety Law; Faculty Advisory Committee Prize ..
Student Research Projects - Sydney Law School - The University of ..
Strategy, Rupture, Rights: Life, Law and Resistance in Australian Immigration Detention. Johns, F. Fleur Beaupert. Australian Mental Health ..
United Nations Special Rapporteur on Health and Human Rights ..
Mr Grover is a practicing lawyer in the Bombay High Court and the .. of summaries of international case law concerning the right to health. and family dispute resolution practitioners: achieving the child-focused .. Family Law as a determinant of child health and welfare: shared parenting, .. They usually write opinions for solicitors on doubtful points of law or procedure; .. health and safety problems; or help administer the Family Court of Australia. The New Occupational Health and Safety Law including mandatory Reg 176 .. a series of quality short courses assisting lawyers, accountants .. Fundamentals of Commercial Law, 6, A This unit assumes no previous knowledge and is available to non-lawyers and to lawyers who have not .. In February 2006 he was admitted as a Barrister and Solicitor of the Supreme .. Additionally, Rob has a strong interest in occupational safety and health law. Bachelor of Science in Information Technology Bachelor of Laws ..
Commonweath Attorney-General's Department. 10 am. Morning tea. 10.15 am Parallel HDR Presentations. Law and Mental Health Issues. Chair: Mark Nolan ..
by P Gerber - Existing Scholarship on the Theory of Teaching Law to Non-lawyers ... and any statutorily required insurances such as for workers' health and ..
Dr Warwick Neville, Solicitor, Bioethicist, and Researcher, RegNet, The Australian National University, Patent law, Health Care and Access to Essential ..
Paula O'Brien researches in two areas: public health law and public .. interest lawyering in Australia, in particular through changes to law ..
UTS: Bachelor of Business Bachelor of Laws (C10125v7 ..
Rebecca is actively involved in NSW Young Lawyers as Vice-Chair of the Public Law and Government Committee and member of the Mental Health Executive ..
Dr Marie Bismark is dually-trained as a doctor and lawyer. .. Marie works as a Consultant to Buddle Findlay's health law team and serves on ..
Staffed by experienced attorneys and advocates, and assisted by USD law student .. Department of Health & Human Services, Tasmania: The Department of ..
by J Duffy - 2011raised concerns about the psychological health of Australian law students.2 ... (1) helping lawyers feel and perform better in general, and (2) weakening the ..
UTS: Communication - browse all undergraduate courses ..
UTS: Bachelor of Medical Science Bachelor of Laws (C10131v4 ..
Melbourne Law School Internships: Information for Current Students .. (Attorney-General), the Hon Nicola Roxon MP (Minister for Health), ..
A Bus L, Australian Business Lawyer (Law Council of Australia). A Bus L Rev ... AHMLR, Australian Health and Medical Law Reporter ..
economics, policy, and law . 2006 to present Cambridge Journals Online (connect | more information); 01/01/2006 to 1 year ago ABI/INFORM Global ..
by B McSherry - - basis that mental health laws based on rights simply switch the control of individuals with mental illnesses from doctors to lawyers. There is also a growing ..
Syllabus: Whereas law is commonly studied as a body of doctrine or rules, Lawyers, Justice and Ethics makes a critical and contextual examination of legal ..
Ron's advice on occupational health and safety law has been solicited by .. In addition to being an industrial lawyer, Ron is an advocate for the rights of persons .. Associate Professor - Faculty of Law, Law SchoolHealth Law; Elder Law; Equity; Trusts; Tort Law – particularly Medical .. Journal of Law and Medicine p653-665; Hamilton B, Cockburn T, (2008) Solicitors taking ..
Graduate to work in the development of mental health and legal policies, in legal-psychological research, or as a lawyer in corporate, social or clinical ..
Health and medicinal law research projects page. .. project involves a team of philosophers, lawyers and surgeons from Macquarie University. International Law Association (ILA) International Committee on International Trade Law .. ‗Introduction' in Andrew Mitchell et al (eds), Public Health and Plain ..
Health Law and Public Health students should enrol in LAWS6881 .. program, but also to lawyers, regulatory staff or compliance professionals. 25+ items – Select WebLaw Subject Guide, Administrative Law .. Emergency services. Insurance Negligence ..
Media and Telecommunications, Native Title, Occupational Health & Safety Law, Policing .. Centre for Corporate Law and Securities Regulation and the Faculty of Law .. Australian Corporate Lawyers Association: The key objective of the .. Professor Astor joined the Faculty of Law at Sydney in 1986. .. resolution practitioners and family lawyers and conflict handling in universities. .. invited paper to NSW Health Open Cultures, Safer Cultures Seminar, Sydney ..
Melbourne Law School's internationally renowned sports law program .. Dr Harcourt, who is teaching Sport, Health and Medical Law in June ..
Debt; Family law; Victim's compensation; Employment; Criminal law .. Neighbour disputes; Public interest matters; Mental health; Social security .. These sessions are staffed by UNLC solicitors and current law students. 15th World Congress of Medical Law (Sydney, 2004) and at two Joint ABA/ANZIHLE Conferences -. Contesting Freedoms in Health Care: .. Bachelor of Commerce with the degree of Bachelor of Laws .. In this commerce and law degree you'll develop a comprehensive understanding of all .. Required, LAW208, Law, Lawyers and Society, 3 .. Environmental organisations; Health services including hospitals; Large national ..
Matthew is Professional Support Lawyer to the national Construction and Major .. He was a member of both the Australian Institute of Health Law and Ethics and ..
UTS: Bachelor of Engineering Science Bachelor of Laws (C10136v6 .. Pushing the Boundaries: Realising Rights Through Mental Health ..
by T CARNEY - - lawyers. 11 and ascribing them with a legal meaning. However, the formal legal .. Principles in Mental Health Laws in Europe' (2006) 12 Psychology, Public ..
Albury and once a week to the Albury Wodonga Aboriginal Health Service. The centre also has a family violence duty solicitor to provide legal information, ..
the health experts wi*ll"prescribe~ our health laws;:and', no doubt, lawyers would frame and enact all the laws of procedure and for the adrnlnistration of justice. Interveners or Interferers: Intervention in Decisions to Withhold and ..
by L WILLMOTT - - and defamation cases.6 Intervention has also been an issue in health law ... In addition to the rules outlined by Brennan CJ in Levy, Attorneys-General are .. Lecturer - Faculty of The Professions, School of Law Lecturer, Faculty of The Professions, School of Law ..Lawyer(NSW)(ACT)(High Court). Research interests. Health Law & Medico-legal issues ..
and its impact on nursing practice; forensic nursing; correctional nursing .. Medico-legal issues; criminal law, forensic nursing, elder abuse, prisons and health care/workers, professional regulation. .. Women's Lawyers Association ..
Understanding the Nature and Scope of Law and Lawyers .. (West Publishing, 1990) a lawyer is "a person learned in the law; as an attorney, counsel or solicitor ..
You are here: University home > La Trobe Law School > About the School .. Paula completed her articles and worked as a lawyer at Minter Ellison .. She acted for various health professional regulatory agencies and other public sector clients. Non-Exhaustive List of Internship Possibilities - the Adelaide Law ..
International Federation of Women Lawyers (FIDA), New York .. Pan American Health Organization, Legal Division, Washington D.C., U.S.A. Planned .. Admitted to Practice as a Barrister and Solicitor of the Supreme Court of .. of Law and Psychiatry (Special Issue: Migration, Mental Health and ..
Howard, Michelle --- "Principles for substituted decision-making ..
by M HOWARD - Queensland University of Technology Law and Justice Journal .. Mark is her statutory health attorney by virtue of the operation of the Queensland guardianship ..
40+ items – .. WARP Help. Research Report 2005 - Law. Journal Article. Dal Pont, G, 'Negotiating Lawyers' duties', Law Institute Journal, April 2005 pp ..
Dal Pont, G, 'Beating Back Affluenza', Law Institute Journal, December 2005 pp ..
- by C O’Loughlin - That law students' mental health declines during their years of study has been ... of lawyers' health and lives, and its impact on law firms and client services. Pathways to Law @ Sydney – Combined Law Transfer. 5 .. human rights, health and the environment. .. health law, feminist legal studies, employment and ..
UTS: Bachelor of Arts in Communication (Public Communication .. He has been practicing in the health law area for over twenty years and is a remember of a fifteen lawyer health industry team which ..
5+ items – URL: www.deakin.edu.au/buslaw/law/rrjc/session-speakers.php ..
A Bus L, Australian Business Lawyer (Law Council of Australia) .. ACL, Australian Corporate Lawyer .. AHLB, Australian Health Law Bulletin, E-JOURNAL ..
Centre for Health Governance . .. For other events please visit the Sydney Law School Events page ... looked at the way in which the dynamic Chinese movie industry saw the law and lawyers in China during this period.